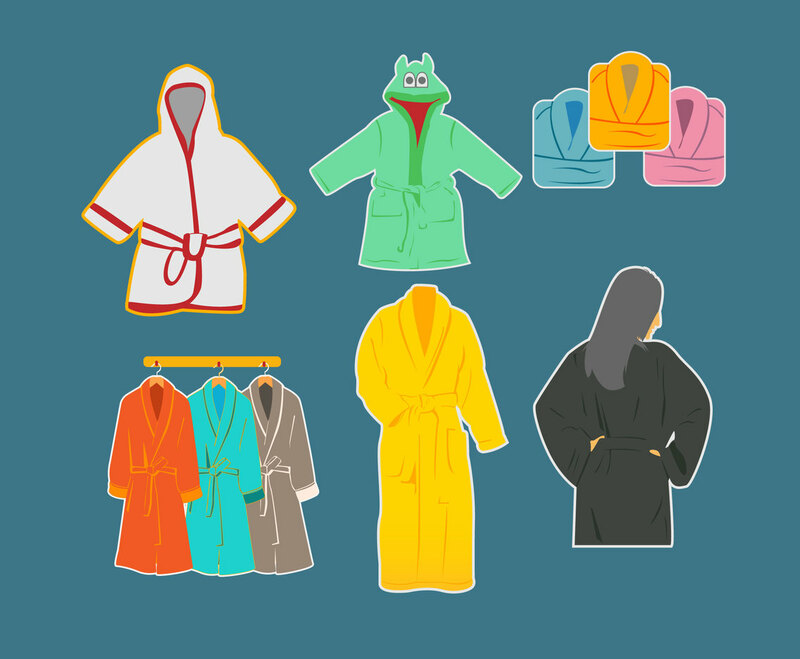 This set contains many kind of bathrobe illustration vectors. A few are folded, hanged, to wear, and there is a couple with front and back side view, also bathrobe with hoodie for kids. This vector set will save your time when you need to design anything related to bath wear.